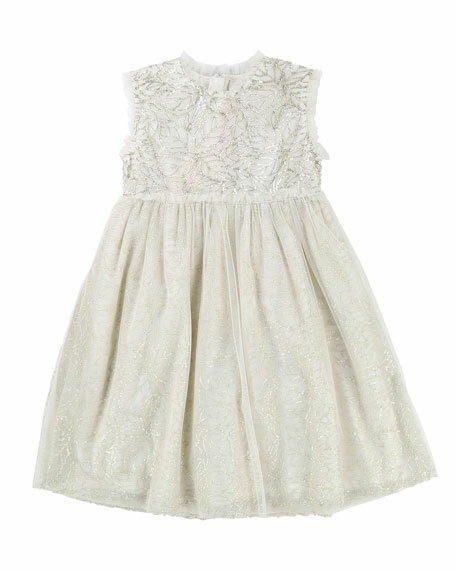 Billieblush dress in allover leaf-patterned gold sequin. Ruffle trim at collar and arms. David Charles textured piquet knit dress. Patch pockets with grosgrain bows. Crew neckline. Sleeveless. Hidden back zip. Pleated waist. A-line silhouette. Polyester. Made in United Kingdom. Helena dress in diamond knit. Crew neckline. Sleeveless. Box pleat at center front. Hidden back zip. Self-tie back detail. A-line silhouette. Polyester/rayon. Made in USA of imported material. 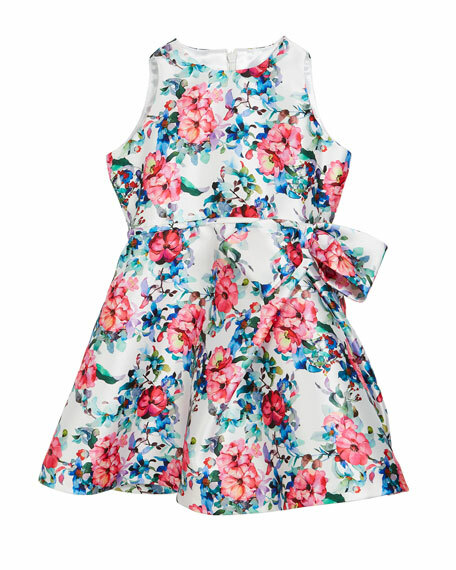 Helena bright floral printed taffeta dress. Crew neckline. Sleeveless. Wide box pleat at left hip with bow detail. Hidden back zip; self-tie at back. Fit-and-flare silhouette. Polyester. Imported. 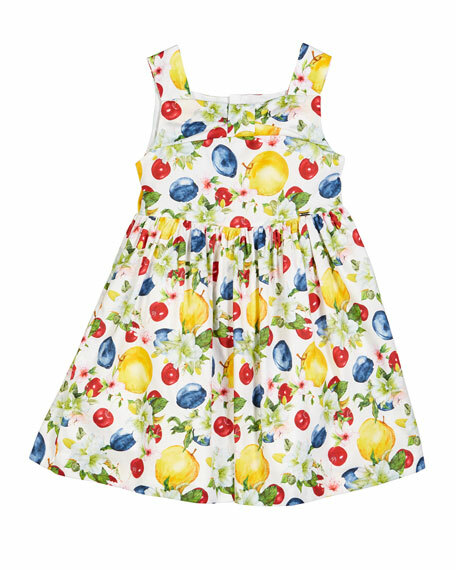 Mayoral dress in apple and floral print. Square neckline with flat bow detail. Sleeveless. Shirred waist. Hidden back zip. A-line silhouette. Main: cotton. Lining: cotton/polyester. Imported.